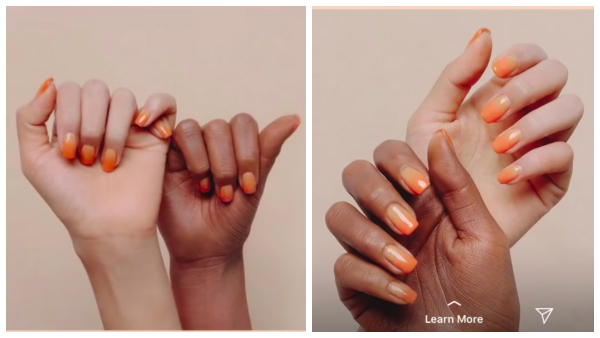 In a bid to pander to diversified communities, L’Oreal-owned South Korean makeup brand Stylenanda decided to include lighter and darker skin tones in a campaign for its nail polish. Its mistake? Not hiring a real person to represent the black community. Instead, it appeared to have either coated its model’s hand with a darker foundation, or “blackwashed” it with Photoshop. As a fan of the brand, beauty vlogger Darcei Amanda was thoroughly impressed to learn that her skin tone was being included by the South Korean cult label. She soon realized something was amiss, however, as the “black” model’s hand was equally pigmented throughout, when her palm was supposed to be much lighter. The YouTuber also shared screenshots of the advertisement on her Twitter. Her post has amassed 2,400 retweets and over 5,700 likes at the time of writing. “When the graphic designer has never actually seen a black hand in real life,” tweeted ‘BasicBlaecGirl’. The images have also prompted several to inspect their own hands. “I looked at my hand twice, turned the light on and off, and was so confused because [whose] palm is the same color [as] the other side of [their] hand?” remarked ‘ErronJ_’. Stylenanda has since removed the nail polish, which bears the same pictures on its packaging, from its website. The brand has also apologized for the insensitive photos.